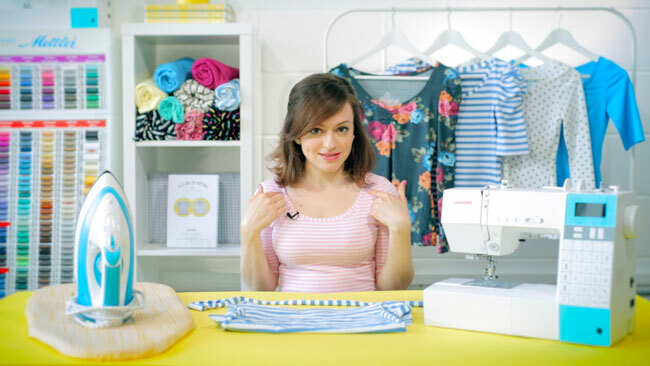 Tilly and the Buttons: Learn to Sew Jersey Tops - Take Our Online Workshop From Home! 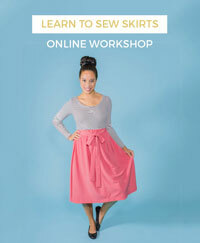 Learn to Sew Jersey Tops - Take Our Online Workshop From Home! Want to be able to make comfortable, wearable tops for every day? Want to take your sewing skills to the next level with an introduction to sewing stretchy jersey fabric? Don’t have an overlocker or serger – or just don’t like using it? Fancy taking a Tilly and the Buttons workshop – but can’t get to London? No problemo... 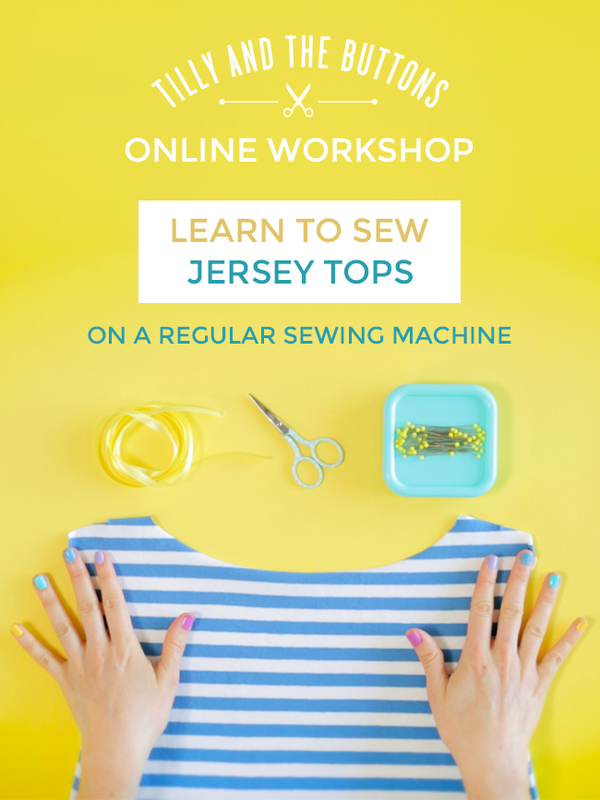 Introducing our first online workshop that you can take from the comfort of your own home - Learn to Sew Jersey Tops… on a regular sewing machine! 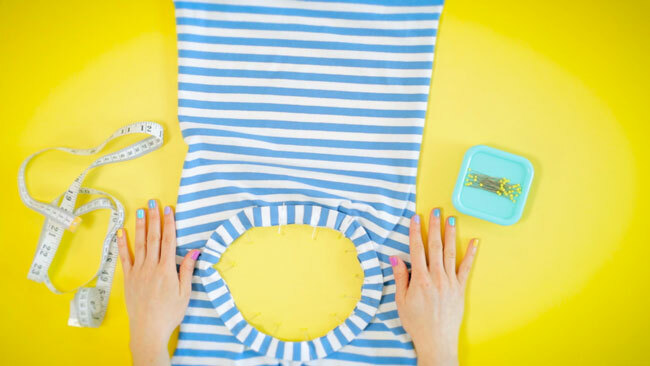 Learn to Sew Jersey Tops is suitable for advanced beginners and improvers - you’ll need to be comfortable using a sewing machine and have experience sewing a few things already. I’ll take you through essential tips and techniques to get you feeling confident sewing jersey on a regular sewing machine, without overwhelming you with too much information. If you’re a fan of the Coco sewing pattern, a loose-fitting garment designed for low-stretch knits, the Agnes top, which we'll be sewing in the course, is the perfect next step to build your skills and get to grips with handling stretchier knit fabric and sewing a close-fitting top. Jersey tops are comfortable, wearable and practical for every day. They’re also quick to sew and easy to fit once you know how. Yet many people are scared of sewing stretchy jersey, and you might think that you need to get an overlocker or serger to be able to sew with it. I want to show you that it doesn’t have to be tricky, and that you can sew jersey on your regular sewing machine. I’m hoping to get you hooked on sewing jersey! How to make the gorgeous and wearable Agnes top, in a variety of different styles – destined to become your new wardrobe staple! 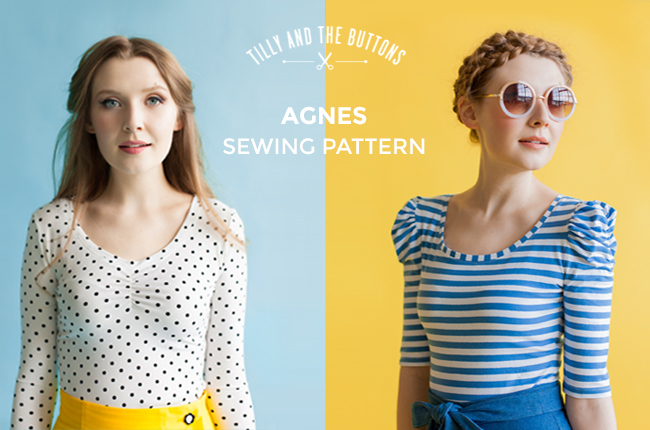 You’ll also get a free digital copy of the Agnes sewing pattern to print and assemble at home, plus a discount for the printed pattern (available through the course platform). How do online workshops work? One of the best things about sewing is that you can do it from the comfort of your own home, at a time that suits you, without having to travel anywhere special, or schedule any time off work. Now you can take a sewing workshop with me (Tilly) in your own time and space too. You can even do it in your pyjamas if you like! When you register for the workshop, you’ll get instant access to a member-only course website. The lessons are taught through a combination of video, text, and printable check lists, viewable on your computer, tablet or smartphone. Yes, video! It’s so helpful to see sewing in action, in moving images. 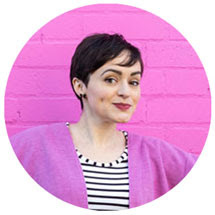 I’ve designed this course to be manageable and actionable – the lessons are broken down into bitesize chunks, with practical action points so you can get sewing straight after watching each step. You can record and track your progress as you go to keep you motivated, and I’m hoping that the participants will form a supportive online community. There are no set dates or deadlines for this workshop – you’ll get instant access, and you can start and finish the course at a time that suits you. While we can’t guarantee “lifetime access”, you know, in case of digital apocalypse or something, you’ll have access to the course for as long as it’s available – we’re not planning to take it down any time soon. It’s self-paced, so it’s totally up to you whether you binge watch the whole thing in one weekend, or spread it out over ten or more evenings – whatever suits you. And you can pause, rewind and rewatch the lessons as much as you like – so if you forget how to do something, you can always check back. Less than half the price of a face-to-face workshop, with no travel costs either – hooray! The fee is $69 (US dollars), which includes a digital version of the Agnes sewing pattern. If you'd like a printed version of the pattern, there's a 20% discount code for workshop participants - you'll see it on the Agnes sewing pattern page of the workshop once you've signed up. Remember – you can revisit this workshop as many times as you like, whenever it suits you. What equipment do I need to take part? You’ll need a sewing machine with an adjustable width zigzag stitch, plus a computer, tablet or smartphone to watch the lessons on. 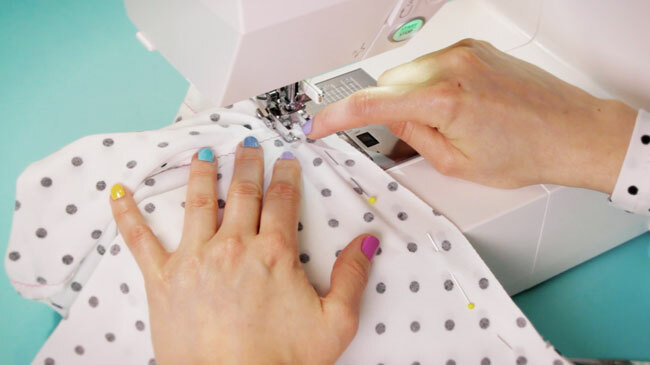 You don’t need an overlocker/serger or coverstitch machine for this workshop! There are a few other low cost supplies that I find helpful for sewing jersey fabric – I’ll talk you through them in the workshop. Any other questions? Take a look at our FAQ, or feel free to ask in the comments below. I’m looking forward to welcoming you to the workshop! Say Hello to Us at the Handmade Fair!